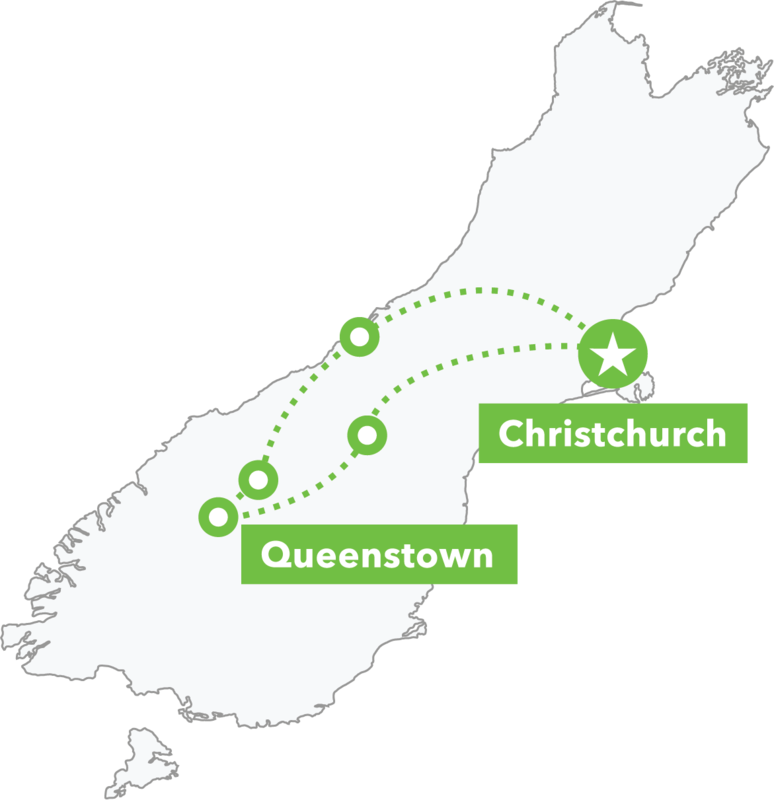 We’ll take you to the South Island’s top scenic locations and help you tick off all your bucket-list activities – we’ve even scheduled two days in Queenstown – New Zealand’s adventure capital. Join us for twelve unforgettable days exploring Christchurch, Wanaka, Abel Tasman National Park, Franz Josef Glacier and Punakaiki – with the option to visit Milford Sound along the way. Get ready to experience it all! Want to leap from the very place that bungy jumping was invented? You can! Perhaps you yearn to take on New Zealand’s highest bungy? Step right up! Want to experience a high-speed jet-boat ride through a canyon close to where jetboating was invented? You got it! Ever thought about strapping yourself to a beautiful stranger and then leaping out of a plane? We can arrange that! Want to hike the blue ice of a glacier after a breathtaking helicopter ride? We know the place to go! Fancy a scenic flight over two World Heritage Parks? We’ve got it covered. If you’ve ever found yourself wondering what a Canyon Swing is, we’ll help you find the answer – and hold your hand on the way there! If paragliding has been your dream, we know where to get the best air – and dream views! And let’s not forget all the other included sights and activities you’ll experience over 12 action-packed days. 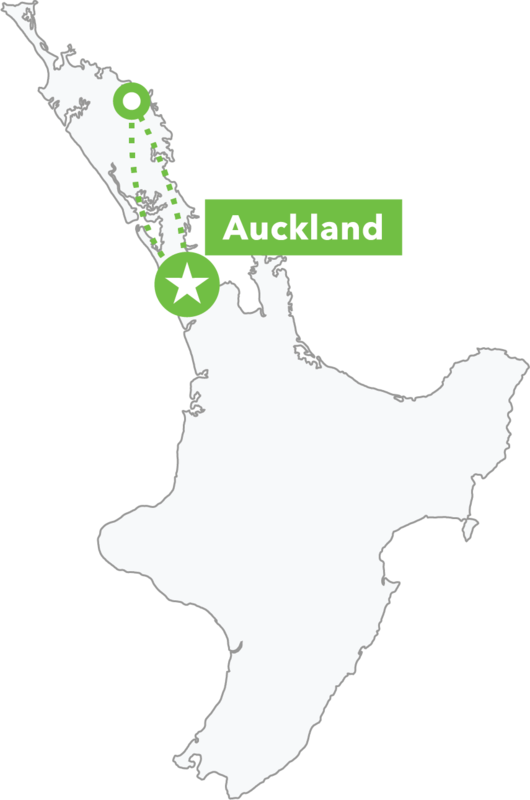 You’ll be strolling secluded beaches, traversing jaw-dropping mountain ranges, paddling a Māori waka, staying in a lush rainforest, being wowed by the stars at an International Dark Sky Reserve, admiring turquoise lakes, intriguing rock formations, blue glaciers, picturesque cities, quaint gold-rush towns and carving your own greenstone pendant – phew! So, what are you waiting for? Let’s get this adventure started! The tour price includes dorm share accommodation (4–6 share) but if you would prefer your own space you have the option to upgrade to a private room. Please note, there is 1 night on this tour where private accommodation upgrades are not available due to limited availability: one night in MacKenzie Country. In special circumstances arrangements may be possible - please contact info@hakatours.com for more information. You can select this upgrade when you start building your tour online. Explore the undisputedly gorgeous coastal scenery and fascinating rocky outcrops of this pristine wilderness area. Strap yourself to a highly-trained stranger then leap out of a plane for unbeatable views. Fly over Mt Cook (Aoraki) and Westland National Parks, 12 major glaciers and the highest peaks in Oceania. We’ll explore some creative ways Christchurch has rebuilt itself before heading to the striking lakes and mountains of Tekapo. If you’re a budding astro-photographer, tonight is your night! You could start your day with a flight of a lifetime before we take a road trip to the place where you can seriously shred your bucket list – or at least shorten it. Crossing the mountains into Wanaka is a short but superb drive. Our Haka Tours Founder can personally recommend skydiving in Wanaka – it’s how he arrived at his own wedding! Take in more of Wanaka before we see more epic scenery on the way on the way to the UNESCO World Heritage area famous for its spectacular glacier. Explore blue-tinged icy crevasses on a guided heli-hike adventure, or perhaps kayak on a glacial lake; or just relax in steamy hot springs. Today you’ll carve your own pendant. We get off the beaten track and head up the West Coast where a rainforest retreat is home for the next two nights. Unplug and rest before tomorrow’s adventure. A giant stack of stone pancakes is a must-do today! Geology rocks. Seriously. Go kayaking, explore Paparoa National Park, or simply enjoy the beach near your rainforest home. Golden beaches, tranquil lagoons and crystal clear waters await exploration! We’ll arrive in time for an opportunity to get the lay of the land from above with a skydive. A full day to enjoy and explore this pristine area. Take a hike, go for a kayak, or go canyoning: jump, slide, abseil and zipline your way down a river. You’ll enjoy some essential NZ experiences on our last day in the South Island: learn to paddle a Māori canoe, visit a winery and sample mussels before catching the ferry. It’s time to say goodbye *sad face*. You can catch a long-haul Haka Bus transfer up to Auckland, or linger and drink in the vibes, caffeine and craft beers Wellington is known for.